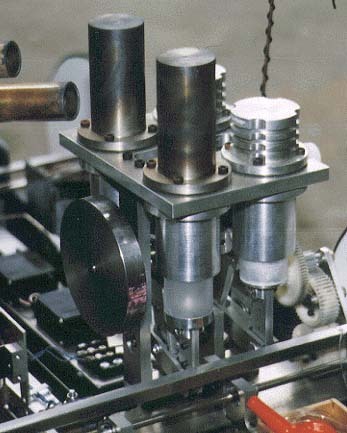 This Model Stirling Engine is the four-cylinders two-piston type Stirling engine. Its pistons and cylinders are used medical syringes. The output power is about 5 W. The Mechanism of this engine is used special linkage for declose side force of the pistons.